Allow him to re-introduce himself, Jay-Z is back and his marketing plan with Samsung has the internets talking and hype for the new album, Magna Carta Holy Grail. Almost 20 years deep in the game, Hov has been no stranger to stunting on the public. Whether it's his mansions, whips, the hottest chick in the game wearing his chain, or spillin’ Ace on my sick J’s—whatever the God emcee, Jay Hova does, people notice. 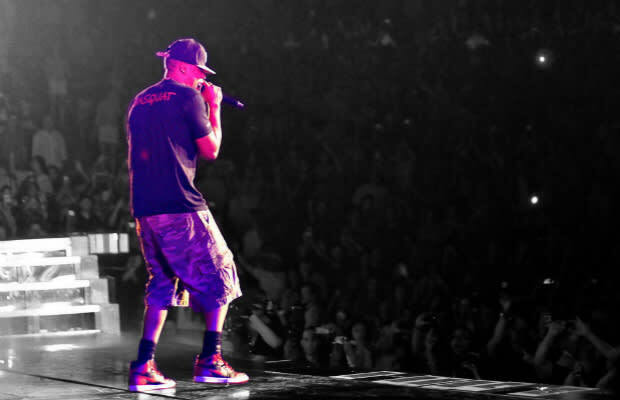 So while we celebrate Jigga's new album and the American Dream also check out The Complete History of Jay-Z in Air Jordans.